Everyone’s favourite Doctor will be teleporting into high-definition this November as Doctor Who – The Complete Fifth Series (aka Season 31 for all you die hard fans) gets its Blu-ray Disc debut. 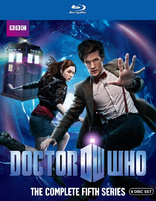 Famous for the show’s eleventh Doctor, Matt Smith, and his new companion, Karen Gillan’s Amy Pond, series five can now be enjoyed with perfect 1080p picture and the purest digital sound available. Including commentaries, outtakes, video diaries, deleted scenes, extended scenes and newly-filmed sequences, the box set is so packed with Blu-ray extras that it takes up a full six discs! Highdefdigest.com has the full story. 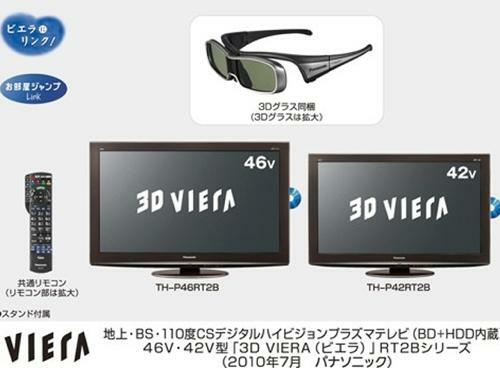 Panasonic has revealed some new Viera 3D TVs that are set to make it easier to enjoy 3D Blu-ray in the home. The RT2B range, only announced so far for the Japanese market, includes a built in 3D Blu-ray player. Available in 42 and 46-inch screens, they will also boast an HDD drive for recording TV shows. Panasonic also recently announced a new set of active shutter 3D glasses, which can be charged in two hours via USB for 30 hours of viewing. T3.com has the full story. 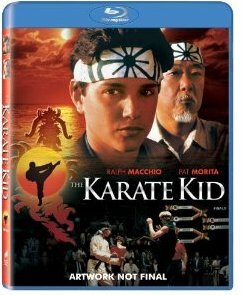 With the re-make of Karate Kid due for release in cinemas across Europe, why not pay homage to the original 80’s classic on Blu-ray Disc? Aside from enjoying a high-def transfer of the movie itself and nostalgically quoting, “wax on, wax off”, this Blu-ray Disc comes with a generous helping of special features to keep viewers entertained. First up is a three-part documentary, packed full of recent interviews with the cast, including stars Ralph Macchio and the late Pat Morita. This provides great insight into the making of the film, highlighting the decisions that helped it to garner an Oscar-nomination for Best Supporting Actor. A featurette entitled ‘Beyond the Form’ is also included which explains the karate training the cast undertook to prepare for the film. And finally, to acknowledge its memorable score, ‘East Meets West’ puts the spotlight on composer Tom Conti, who explains the writing process he went through to produce the soundtrack. For more details, Den of Geek has a full review. Last month, the Blu-ray Disc Association released the final spec for BDXL Blu-ray Discs – the highest capacity discs to enter the market with up to four recordable layers and up to 128GB of space. 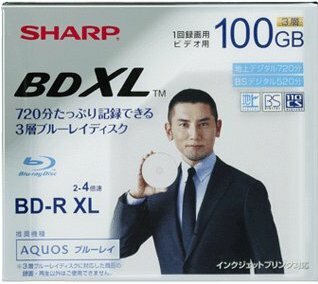 It hasn’t taken long for manufacturers to act, with Sharp and TDK announcing plans to launch recordable 100GB discs in Japan this July and September respectively. Global roll out of these new BDXL Discs is yet to be confirmed, so watch this space for an update. To read more about Sharp and TDK’s BDXL specs, head to Hexus for the details. 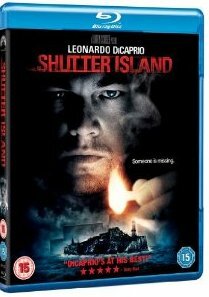 For this week’s Blu-ray Monday we’re giving away a copy of critically acclaimed Martin Scorsese’s Shutter Island. Shutter Island marks the fourth successful collaboration between Martin Scorcese and Leonardo DiCaprio after Gangs of New York, The Aviator and The Departed. Like Scorcese, many directors often cast the same performer in several of their projects – but who would be your dream pairing of director and actor? Whether it’s Steven Spielberg and Tom Hanks or Quentin Tarantino and Samuel L Jackson, let us know who you’d pick as your ideal movie-making team. To make it easier for us to contact you, leave your Twitter details with your comment. Look forward to your suggestions! 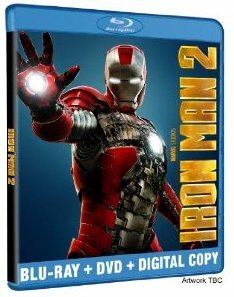 Iron Man 2 gets the Blu-ray treatment! The eccentric, billionaire super hero in the iron suit is back in a stunning, three-disc Blu-ray/DVD combo pack! Debuting this October in Europe, Iron Man 2 on Blu-ray Disc allows you to appreciate all of Iron Man’s fantastic battles, cutting edge technology and shining suits in High Definition and with the purest digital sound available. With over $300 million taken at the box office, Iron Man 2 has delighted audiences across the world with its combination of high-intensity action, intelligence and quirky humour. The Blu-ray/DVD combo pack comes fully loaded with immersive and interactive bonus materials including an in-depth, feature-length documentary on the making of the film. It also boasts revealing featurettes about the characters of Nick Fury, Black Widow and War Machine, a look inside the creation of Stark Expo, deleted scenes and an exclusive peek inside the Marvel Super Hero Universe through the S.H.I.E.L.D. Data Vault. For more details check out Entertainment Weekly’s full preview. 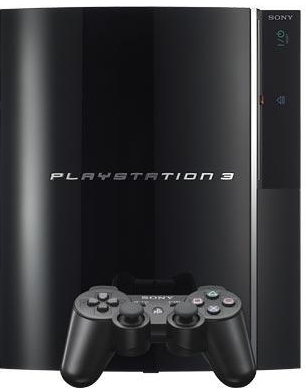 The race to get 3D into our homes took massive steps forward this week as Sony announced that PlayStation 3 users will soon be able to watch 3D Blu-ray movies, 3D YouTube videos and view 3D pictures. The technology will be available as a series of free, firmware upgrades which will be downloadable from the PlayStation Network. The first firmware upgrade will be to support Blu-ray 3D movies and will be available from September 12th. The support for 3D pictures is due later this year with the YouTube update set to follow within the next 12 months. A firmware upgrade last month enabled 3D on the system for gaming and so far Wipeout HD, Super Stardust, PAIN and Motorstorm all support the feature. Sony also recently unveiled a pair of new 3D digital still cameras and with its line of 3D TVs growing more and more popular, it seems that the 3D revolution is well underway.